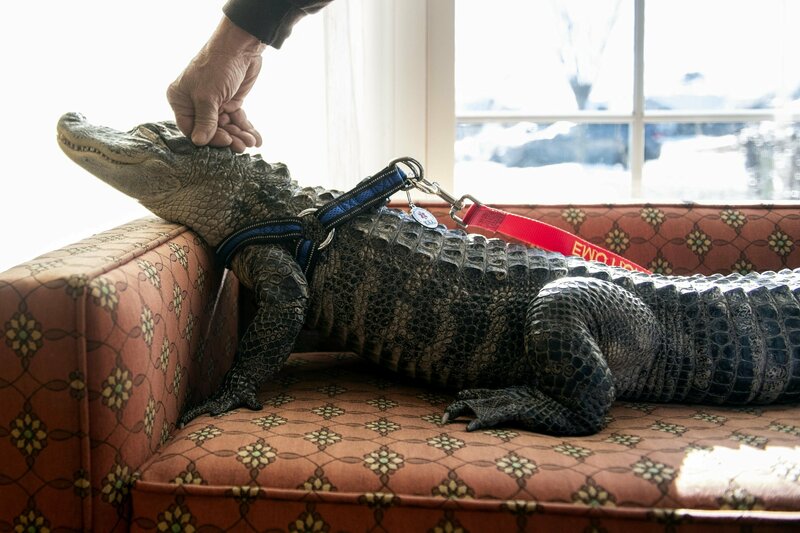 As AP reported, A Pennsylvania man says his emotional support alligator helps him deal with his depression. Joie Henney, 65, said his registered emotional support animal named Wally likes to snuggle and give hugs, despite being a 5-foot-long alligator. The York Haven man said he received approval from his doctor to use Wally as his emotional support animal after not wanting to go on medication for depression. Even though Wally (a rescue) could grow to be 16 feet one day, Henney says he’s not afraid of him and that Wally has never bitten anyone before. This is certainly unorthodox and hopefully, reporters do a follow-up story when Wally does become a full-grown alligator just to make sure no one’s been eaten. Until then, while alligators are not recommended as pets, if it’s helping Mr. Hennery with his depression then we’ll remain cautiously optimistic.